Charlie Parker’s Team System is to focus on important matters like designing proven marketing strategies to sell your home and setting up real estate systems to meet your needs. Always abreast of real estate trends through specialized knowledge and continued education. Charlie believes in giving back to his community and has donated his time, energy and money to numerous charities, including the Children’s Miracle Network, Operation Red Nose, Malaspina College Foundation (now VIU), Port Theatre, Nanaimo SPCA, Canadian Kidney Foundation, and Nanaimo Family Life. 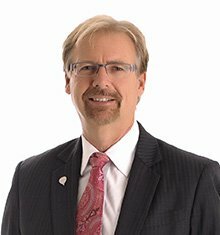 Charlie has also served as Director for several local business organizations, including: the Nanaimo Chamber of Commerce, Edgewood Counselling and Transitional Service, and the Nanaimo Capital Corporation. In his twenty five years with RE/MAX, Charlie has achieved a number of the prestigious awards reserved for the best in the industry. He has enjoyed working with his son Graeme since 2004. Being Past President of the Greater Nanaimo Chamber of Commerce has served Charlie’s clients well. He has been of service to a number of local organizations including a position on the editorial advisory board for the Nanaimo Daily News, Board of Directors for Nanaimo Capital Corporation, Board of Directors on the Nanaimo Economic Development Corporation (NEDC). Charlie has also been recognized as one of the Top 20 Most Influential Business Persons in Nanaimo in 2013. Charlie is Nanaimo’s Real Estate Expert.